Worbuzz is a good and free dating site where you will meet girls and guys without spending cash. You will send and receive messages freely on the website. You can use many excellent features freely. However since the site is very new, you will hardly meet online people. There is a good chat feature in site-wide. You can meet and chat with online girls and guys. Registration process is very short on the website. Since all features are free on worbuzz.com, you can try this website. There is high scam risk on the website since our HTO team member has met one of them recently. You can read our review and add your dating review on this page for the site. 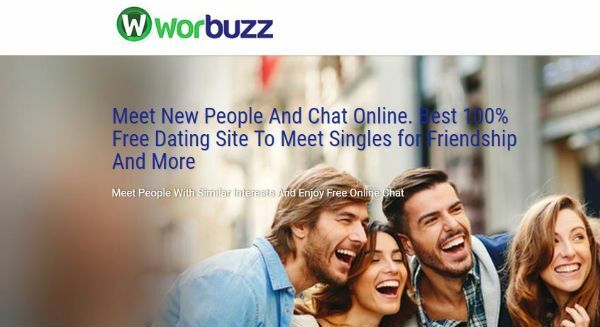 Worbuzz is an international dating platform. You can read cons and pros of the website below. You can also leave your experiences about the website if you would like other users to know about it. Quick registration. You won’t need to fill many forms on the website. Registration process will take only 4 minutes maximum. Online chat with members of worbuzz.com. Based on dating, friendship and chatting. There are several language support on the website. It is highly likely that you will use your own language on the website. Send and receive messages freely. You can also use the website for social networking. Groups, events, timelines, games are included to Worbuzz service. You will have a picture gallery. You can delete your profile anytime you want. High scam and fake risk on the website. Some features don’t work properly. Site speed is very low. There is no matchmaking service. No moderation on profiles and pictures on Worbuzz.